With a strong self-identity instilled coupled with a self-proclaimed means to create innovatively, it was no secret Marc Jacobs had stolen the hearts of many fashion followers. As a diehard fan of the 54-year-old designer, one can be easily moved by his passion for the arts and his profound attachment to his craft. The documentary, Marc Jacobs and Louis Vuitton, is a film any fashion fanatic could watch a multitude of times and still be moved by his dedication to dominate the fashion scene with Louis Vuitton. 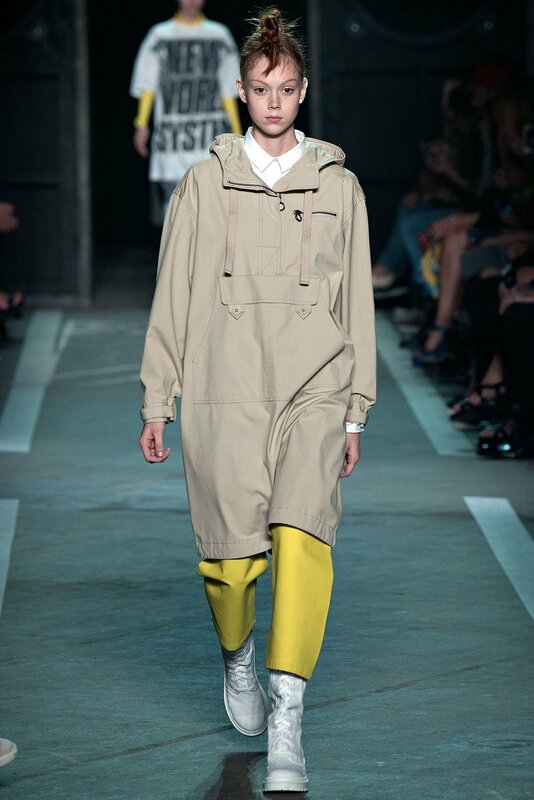 The most moving moment to witness was his strategic fashion collaboration with Japanese artist, Yayoi Kusama. His attachment to “endless energy” while showing respect to the things and people who inspire him is what made him likable. It wasn’t until his inability to credit his inspirations and influences flourished that drove him in a direction towards controversy and flagrance. For his Spring Summer ‘15 Marc x Marc Jacobs runway show, the Louis Vuitton veteran sent a plethora of white models down the runway in hairstyles that were shameless versions of bantu knots. When the public, of Color that is, first witnessed this attempt to use the hairstyle, we thought nothing of it. It wasn’t until hair blog, Mane Addicts, decided to publish a tutorial on the “innovative” Mini Sized Buns from the Marc x Marc Jacobs Spring Summer ‘15 show where outrage was endued. It was only a matter of time before the hairstyle was going to be picked up as something “new and edgy” in the fashion industry while Africa and the rest of its diaspora were stuck in astonishment. From this show, we would have to sit back and watch the use of the Bantu Knot style be taken from our culture without any sense of accreditation or recognition. We would watch the same hairstylist use this hairstyle on models for Valentino’s Pre-Fall 2016 collection, credit Icelandic music mogul, Bjork and then see bantu knots again in Chanel’s Spring 2017 Campaign. They would appear later on in indie magazines such as Cake and Lucy’s as another way of claiming a new movement While all of this unfolds before our eyes, we would not only watch the use of this style become a “new trend” in the industry, but we would still witness the lack of inclusion of models of color. The indecency to be indirectly inspired by a culture and continuously discredit (yet seclude us), while simultaneously maximizing on our influence is unsettling. 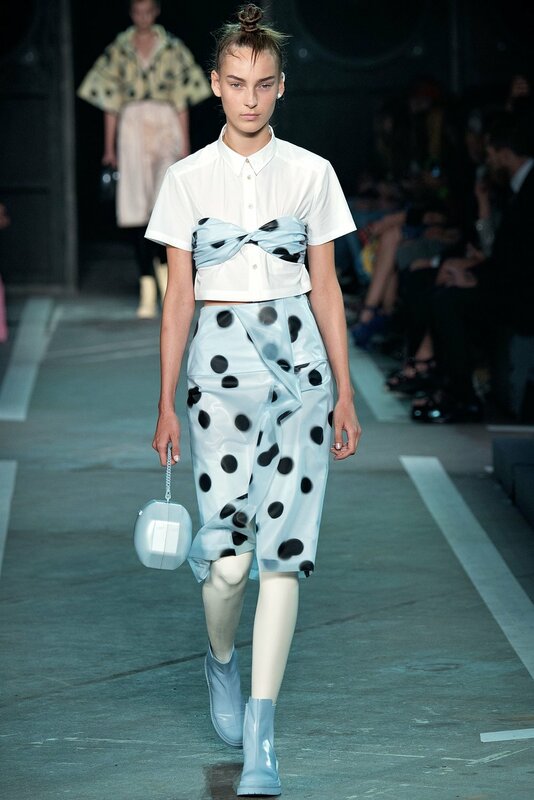 You would think Marc by Marc Jacobs being discontinued in 2015 would be enough, but it wasn’t. Even after that, he still hadn’t learned his lesson. 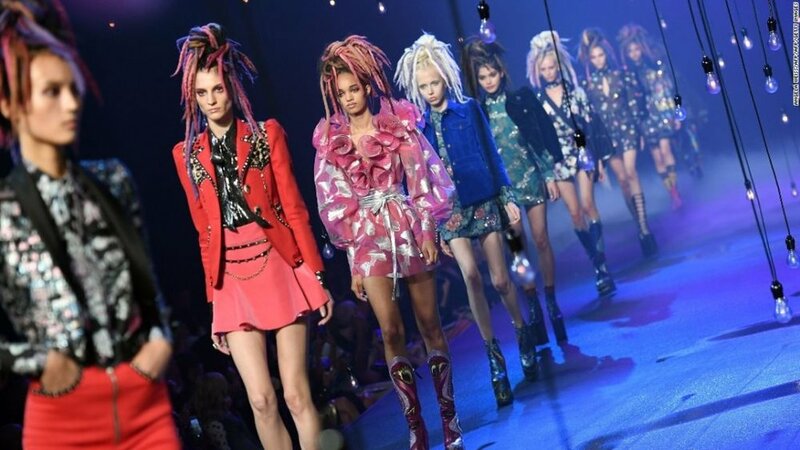 If the exploitation of bantu knots wasn’t enough for you, Marc Jacobs took it one step further for his Spring Summer ‘17 collection by sending White models down the runway in hand-dyed wool dreadlocks with no a models of color in sight. With the same flagrant hairstylist, Jacobs’ decides to appropriate a hairstyle from a culture not belonging to him with no sense of accreditation or inclusion. At this point, social media became flustered because what Jacobs is doing is now deliberate. During a time where banning dreadlocks from the workplace is deemed legal (Source: NBC News), and people of color are reprimanded for wearing them due to their “lack of professionalism” or “messiness,” we get to sit and watch a non-PoC capitalize off of a style that is linked to community and cultural practices. Not only was his second attempt to seclude and steal the issue, but Marc Jacobs’ audacious response to the accusations is what was deemed flagrant. Comments like “I don’t see race or color” or “All who cry cultural appropriation or whatever nonsense about any race or skin color wearing their hair in any particular style or manner,” are what attracted even more backlash than the appropriation alone. However, within in the same interview, he continues, “There seems to be this strange feeling that you can be whoever you want as long as it’s ‘yours,’ which seems very counter to the idea of cross-pollination, acceptance, and equality. Now you can’t go to a music festival with feathers in your hair because it’s cultural appropriation.” This broader statement on aiming to understand the ideology of cultural appropriation was almost mind-blowing as if he were mocking it. Was anything learned from this experience? And alas, Marc Jacobs Spring Summer ‘18 line is where he decides to parade models down the runway in headwraps – another cultural practice African and African-American women have inherited. Again, as we, women of color, continue to be reprimanded for wearing headwraps or not being permitted to rock them in the workplace, we get to witness a white male fashion designer style his non-models of color in headwraps (one being Kylie Jenner) for the industry to deem it as individuality and self-expression. Receiving backlash for cultural appropriation time and time again brings one to believe this attack hurt Marc Jacobs. He was defensive and victimized himself as opposed to genuinely understanding the outrage. It’s more than you throwing bantu knots or wool locs onto a White model’s head. This is more than you sending models down the runway in African inspired headwraps and mind you, ones that weren’t even cohesive to the aesthetic. Instead, this is the consistent lack of crediting your inspiration or recognizing the influence to your work. It’s secluding the women, who are a part of a culture you continuously borrow from, in your shows. It’s not understanding the ideology of creating a platform powered by diversity and a celebration of embracing cultures. Why is that so hard to do? Why was acknowledging where your influence stemmed from only a one-time thing? What is it about accrediting the people who inspire you that makes you so uneasy? Why is acknowledging our influence so much to ask for?